"It is easy to understand a business by looking 'BPMN', but when it comes to draw, it is hard." Yes, it sure is hard. But in other words, if people do not consider "A Work flow to be", they would never be able to draw forever. How many work to do will come out in daily ? And how many more at Accounting period-end ? Who to be processing ? How many personnel to do ? In any how, knowledge of how the business flow are must eventually. Knowledge of 'IT' are rather not asked. Well then, how could you let BPMN penetrate within the company ? There is no way but start drawing simple daily work in BPMN. 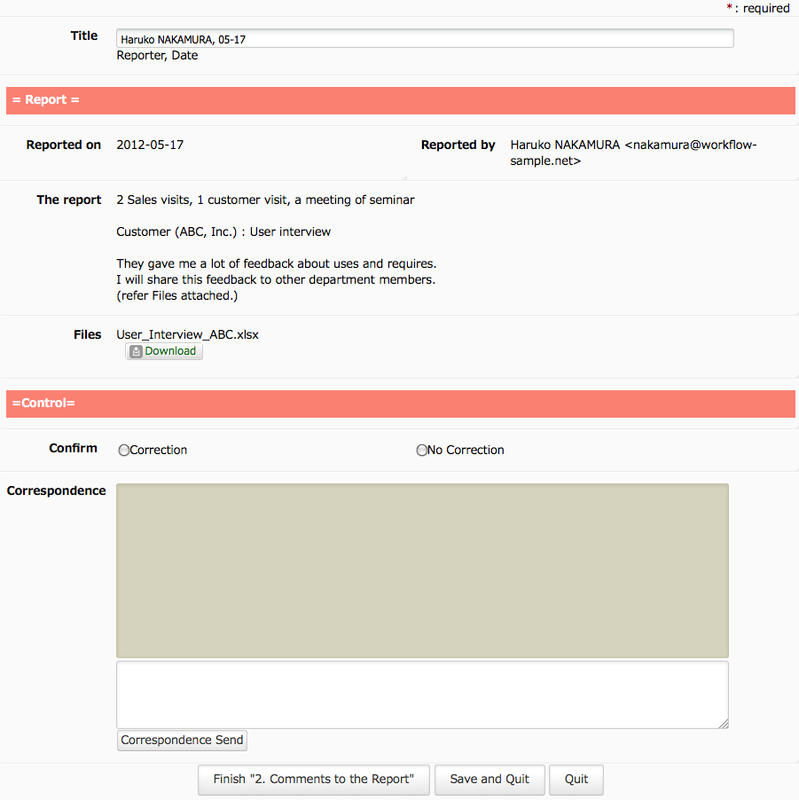 If you are writing daily report or let your people to write, I recommend you 'Daily Report flow'. There is absolutely no need you to identify the diamond shape icon next to [2. Comments to the Report] as "an XOR gateway", but at least please understand it as 'icon to go either way'. By the way, you will find out, in modeling with BPM system actually, that you have to be ingenious on setting up Data Items and Tasks naming rule and so on. 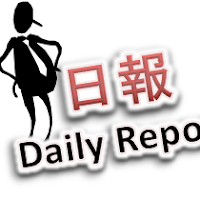 In the first place, in the very first place, it is hard to make daily report、and it is a bother to type the reporting date. In this sample of Daily Report flow (Workflow definition) introducing here, a Task of [1. Write Daily Report] will be allocated to all the employees at eight o'clock in the every morning. That is, one Task will be added in Task list of each employee every morning. And the Deadline of the Task has been set on 23:59 of the day. And also, the name of who report and the date have been already entered as its Subject. With preparations that far, daily reports work will gradually get going. Incidentally, nobody would question about the [1. 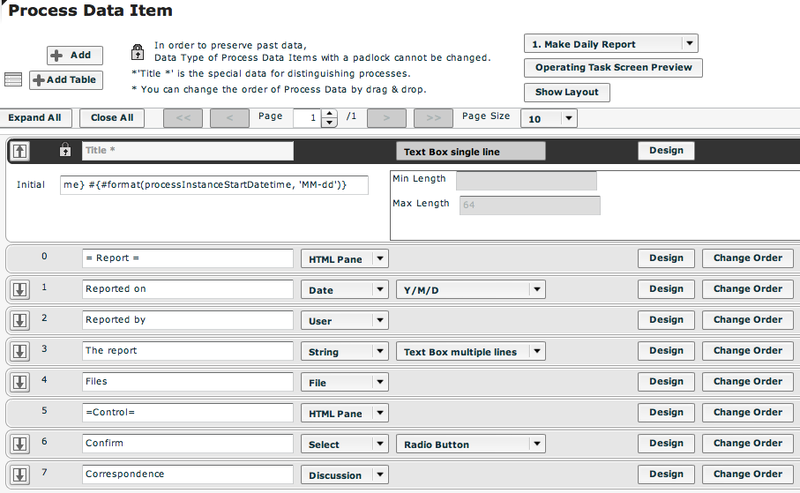 Make Daily Report] Task because it's too simple. But when the Task was complicated, the working manual of the Task should better to be indicated on the processing results entering form screen.